Our durable metal roofs are tough enough to survive all of the elements with virtually no maintenance through the life of your home. Are you worried about the potential for violent storms, wind, and hail to cause lasting damage to your home’s roof? Then, it might be time to consider a more durable option. With metal roofs, Oklahoma and Arkansas homes are equipped to stand up to even the most extreme weather conditions for many years to come, especially when professional roofers complete the installation. 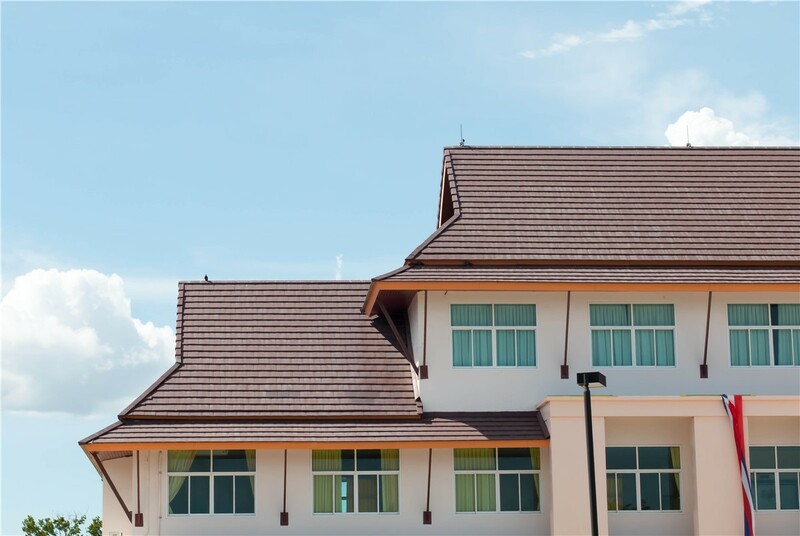 If you’d like to learn more about the countless benefits of metal roofing, you owe it to yourself to reach out to the experienced installers of Community Builders. 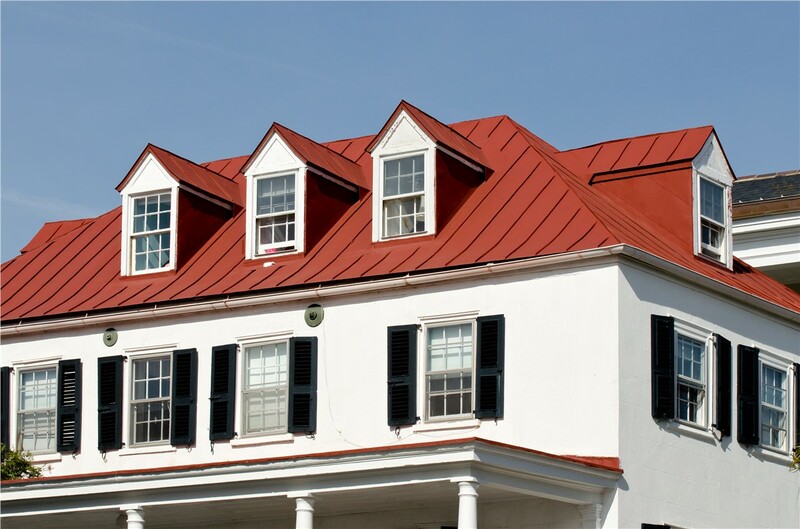 Since 1982, we have been providing customers with beautiful and durable metal roofs of all colors and styles, so we are confident in our ability to leave you with a roofing system that is just as beautiful as it is practical. 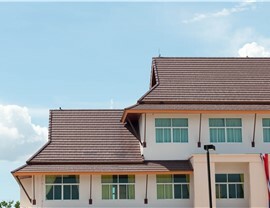 Throughout all of the years that we have been active in the roofing industry, we’ve come to realize that our Oklahoma and Arkansas customers need roofing solutions to address every price point and style preference. For that reason, we offer several different roof colors and styles—in finishes ranging from gray natural stone to blue vertical panels. 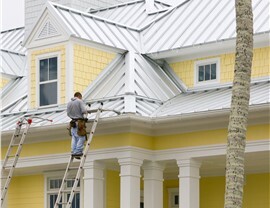 Regardless of which you choose, our highly trained metal roofers know the best methods to optimize the outcome of your project while still completing the installation quickly. Increase the energy efficiency of your home. Save on heating and cooling costs. 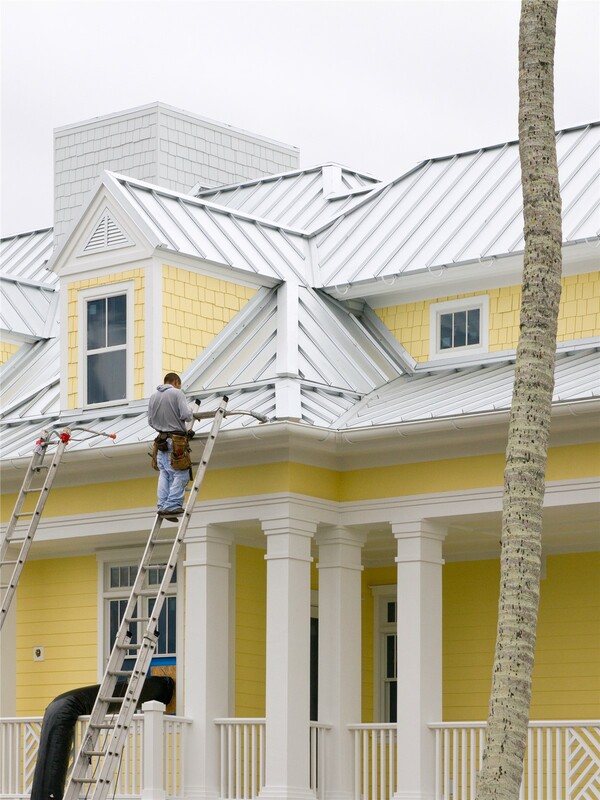 Improve the appearance of your house’s exterior. Withstand wind, hail, and other damaging elements. Greatly reduce the risk of collapse during a fire. With all of the undeniable benefits that impervious metal roofing has to offer, what’s stopping you from replacing your roof today? Pick up the phone and call Community Builders to schedule your first consultation! To request your free project quote first, simply submit our online form for a prompt response. We look forward to speaking to you—and you should too because we’re gonna save you a lot of money! 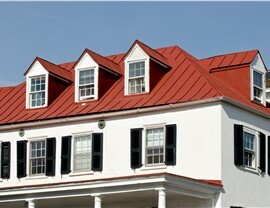 Get 30% Off Your New Metal Roof. Plus Free Gutters with Your Purchase!